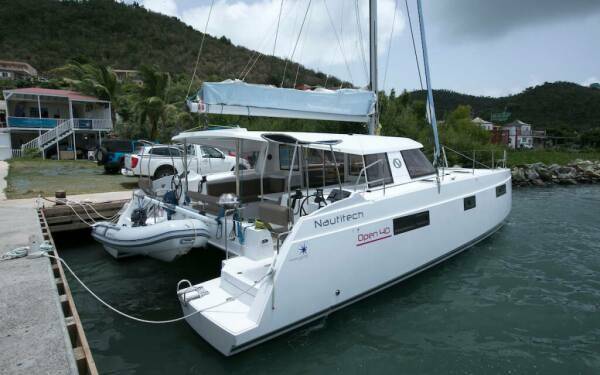 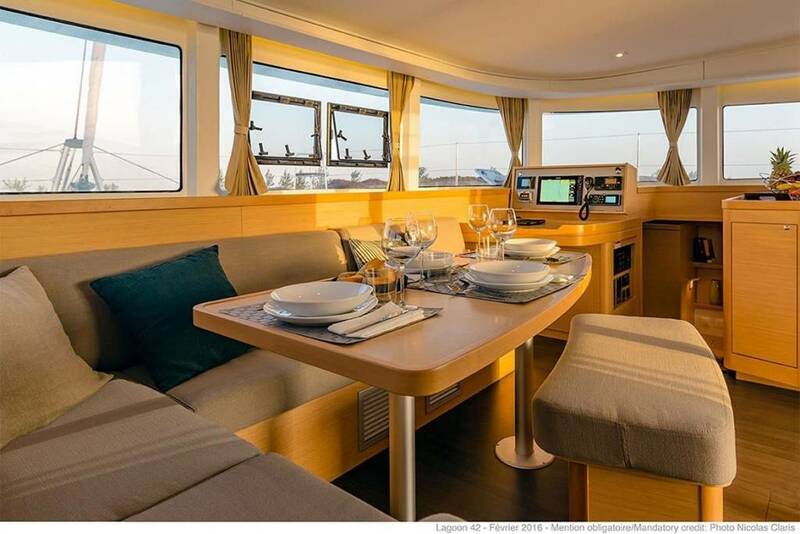 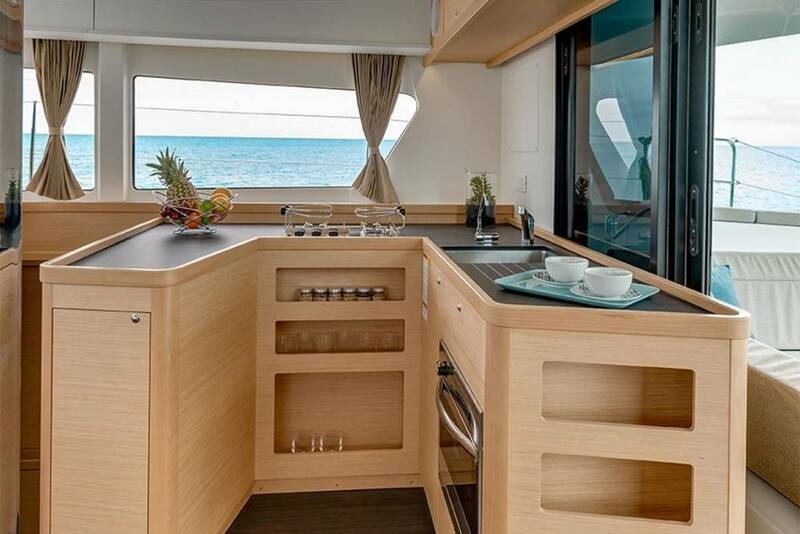 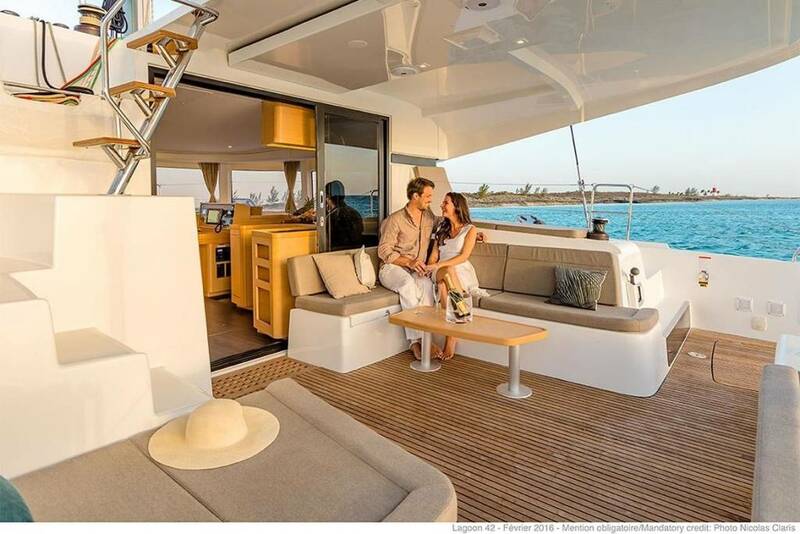 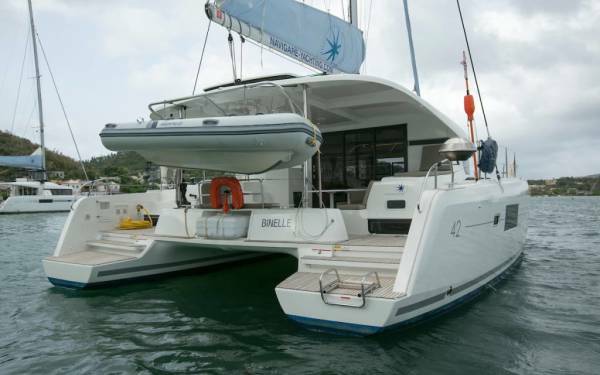 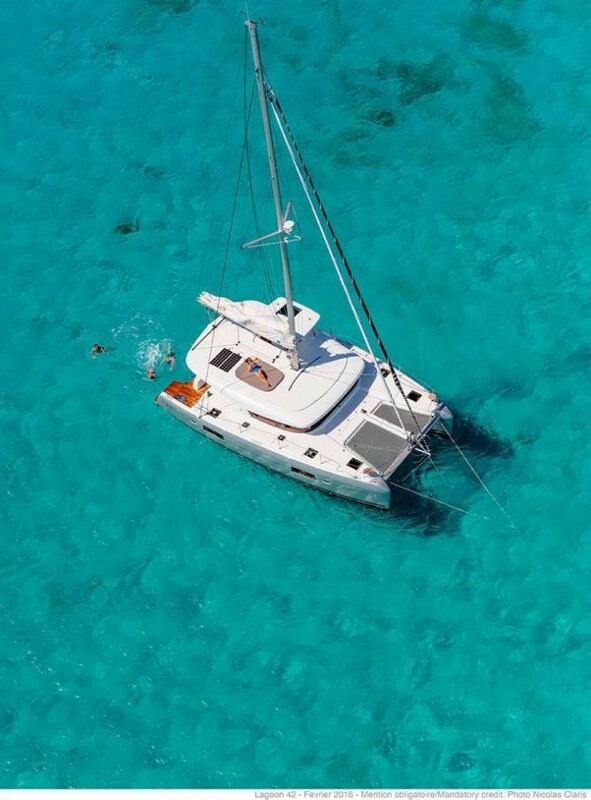 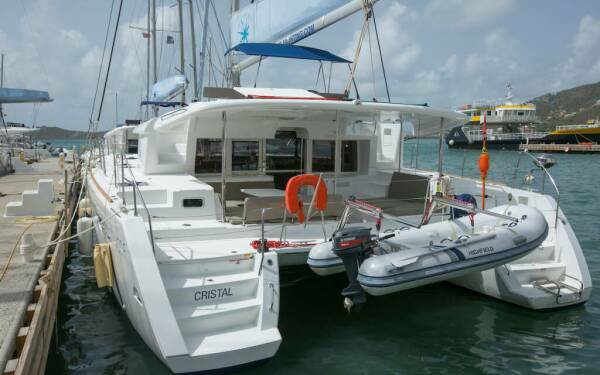 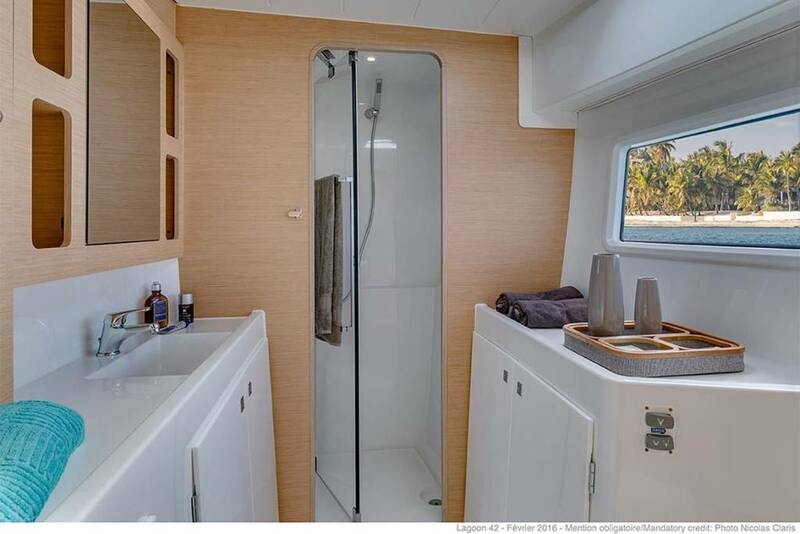 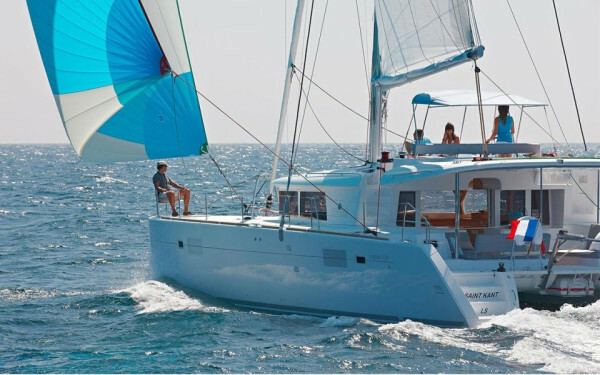 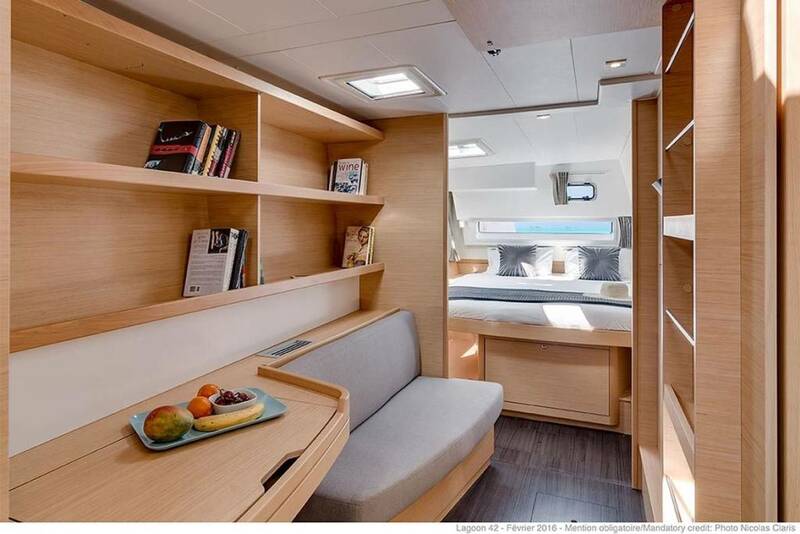 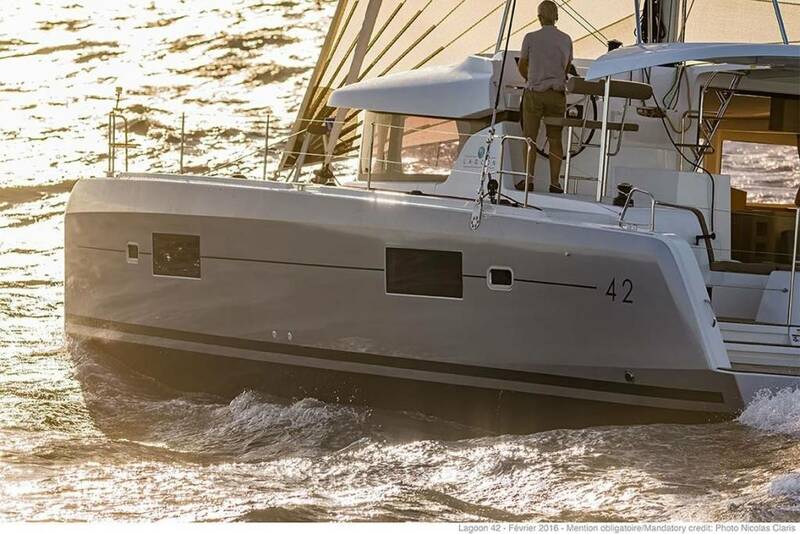 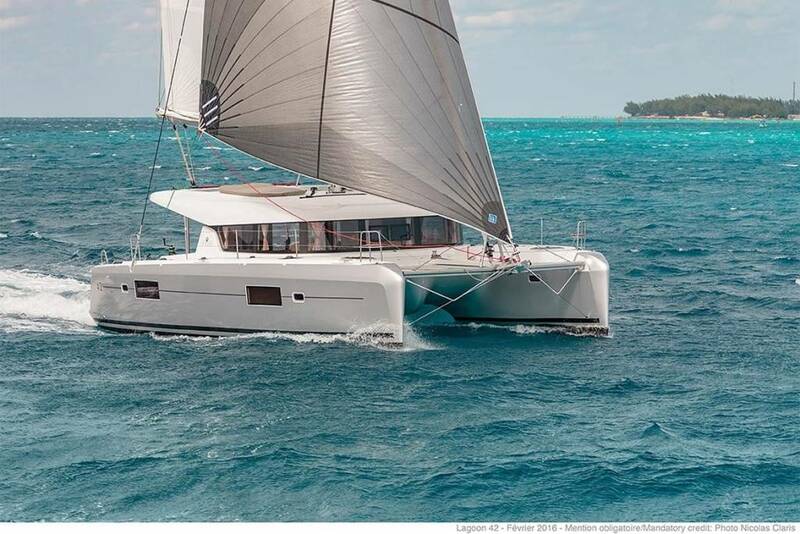 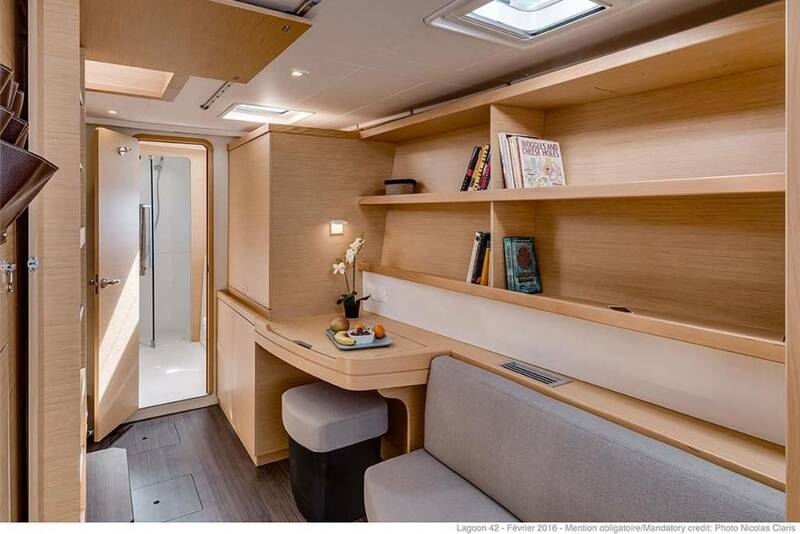 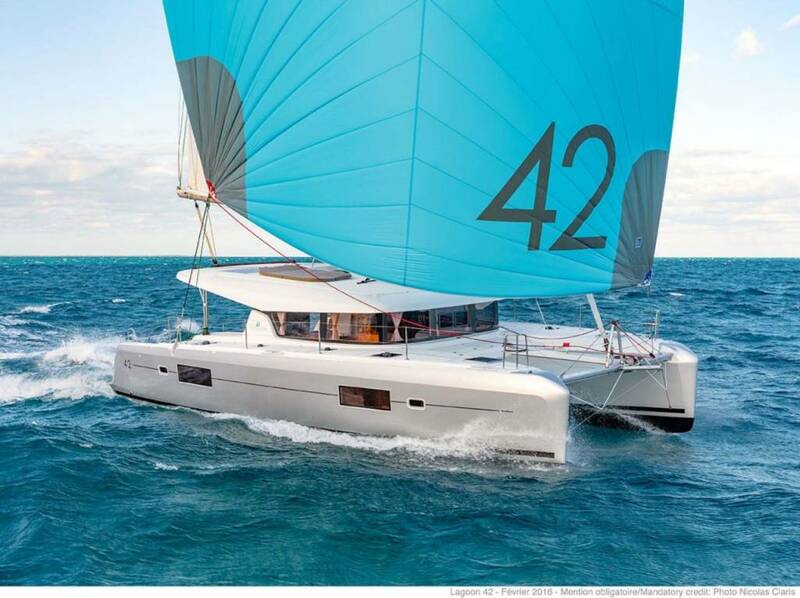 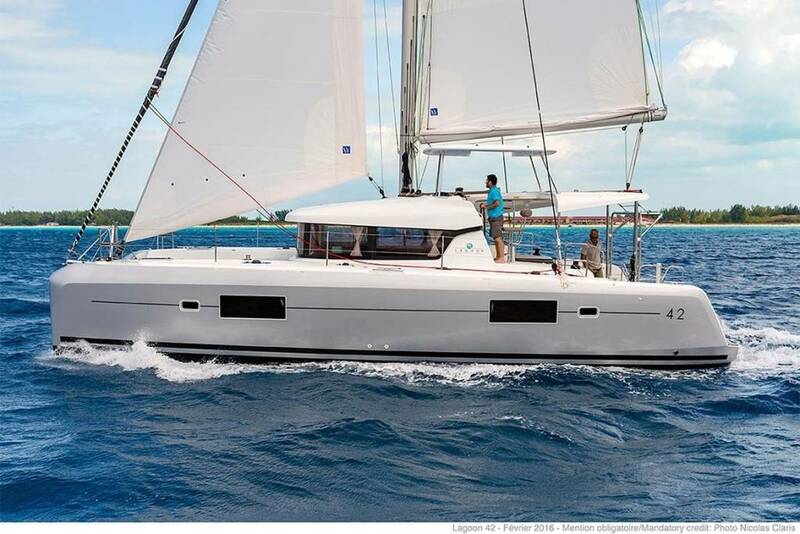 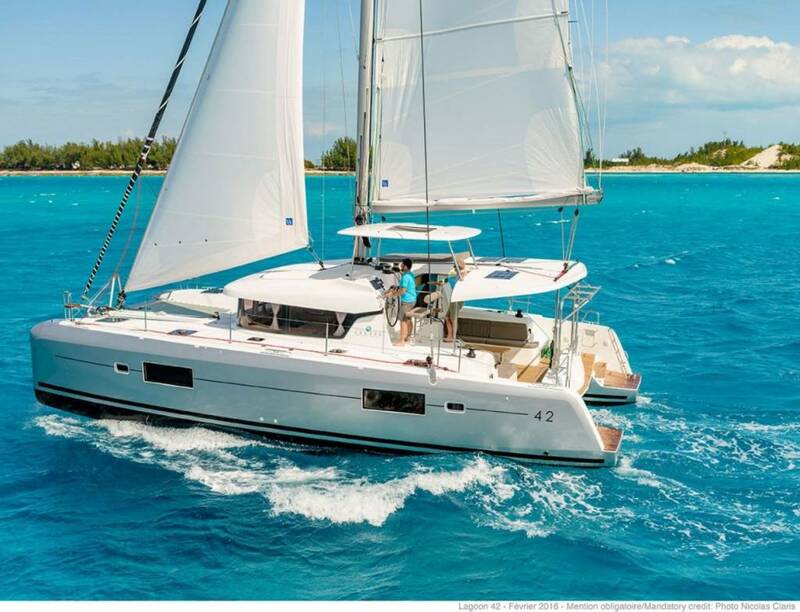 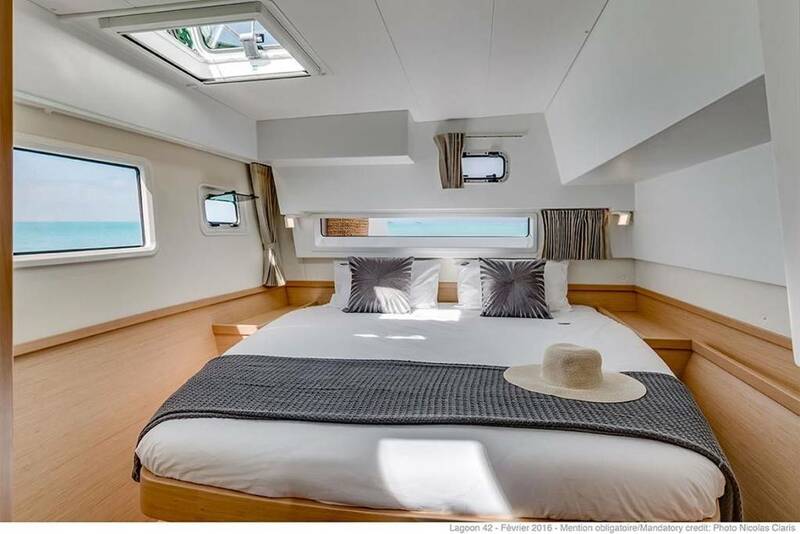 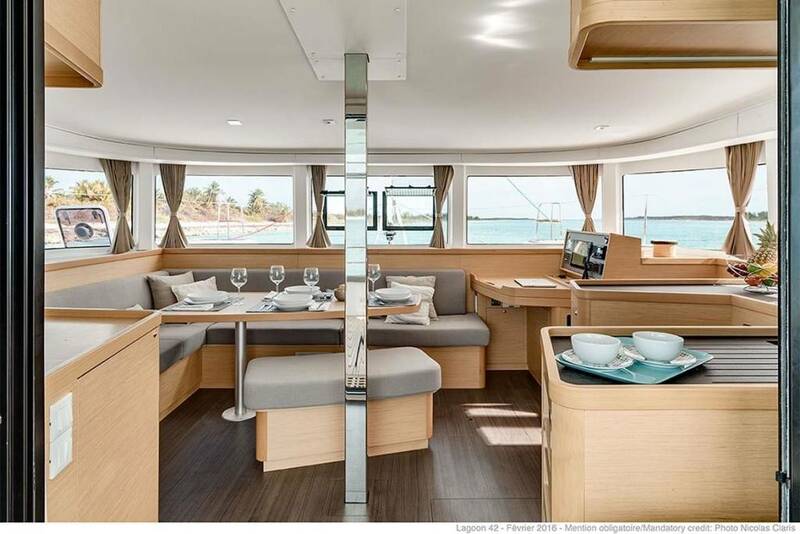 Lagoon 42 is characterized by its sleek, modern design. 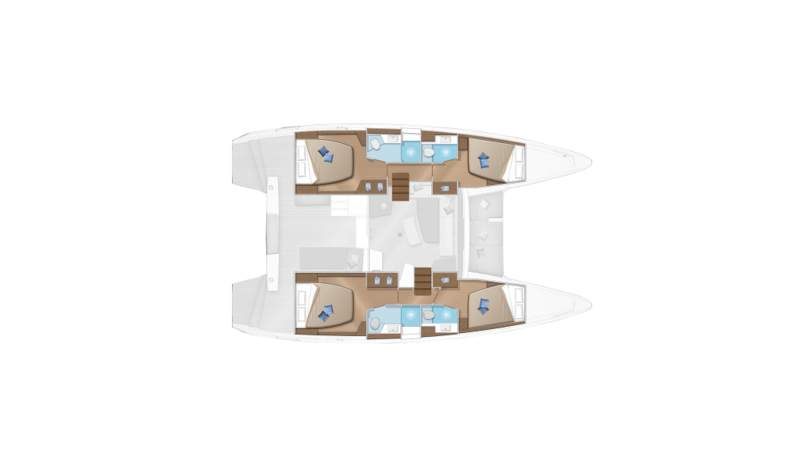 It has an elegantly fitted, spacious interior with a cockpit and salon on the same level. 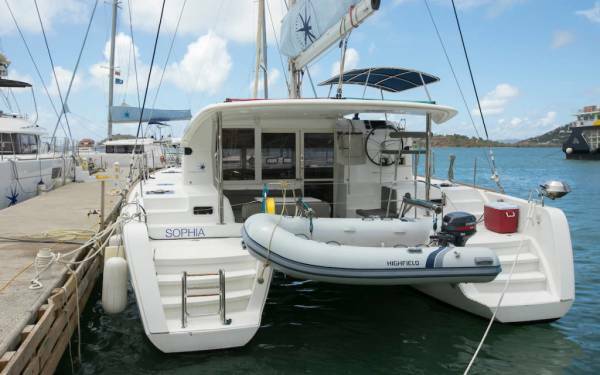 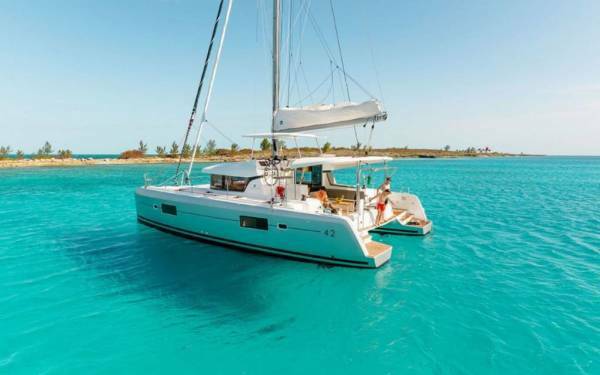 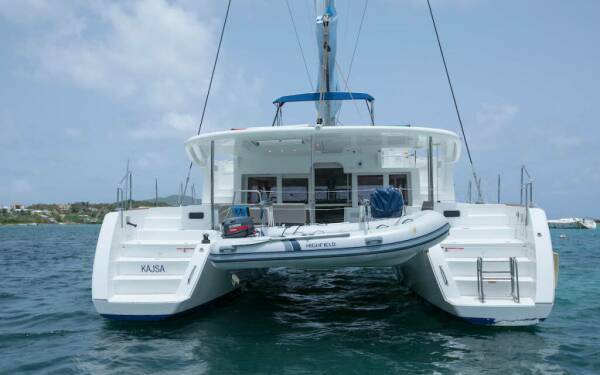 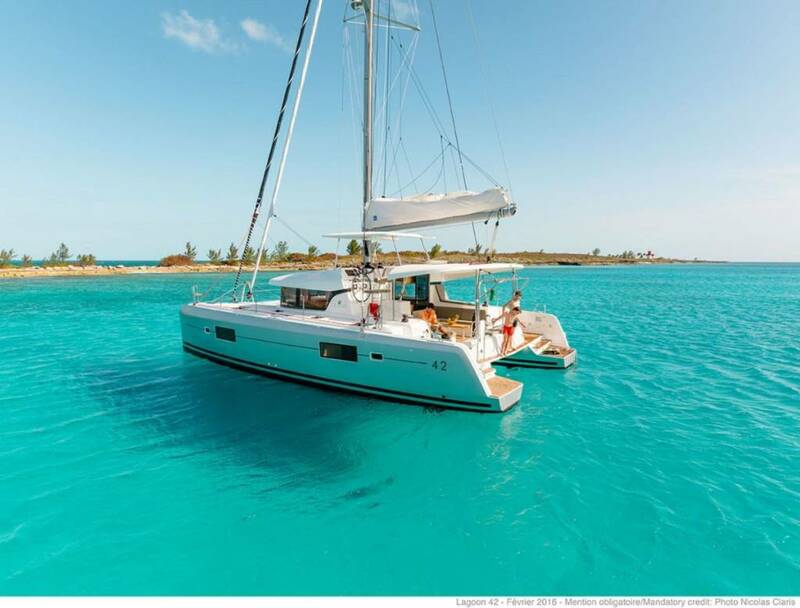 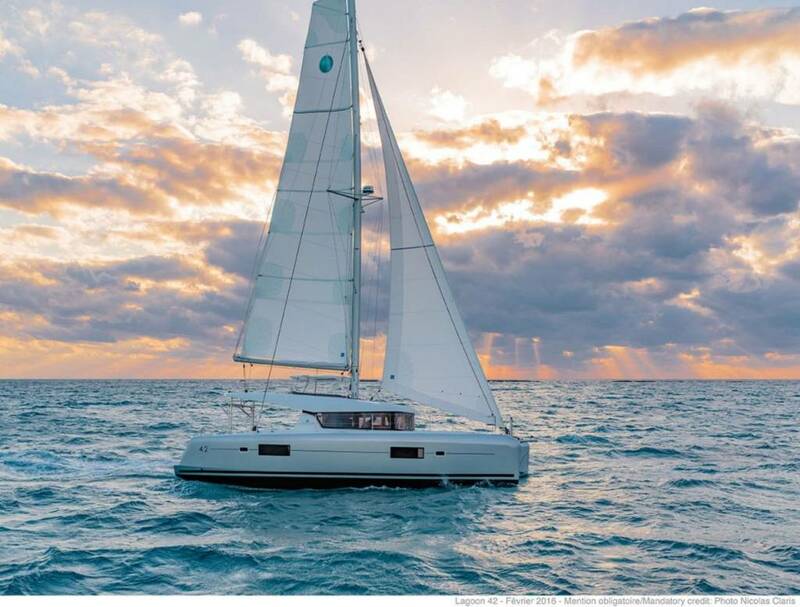 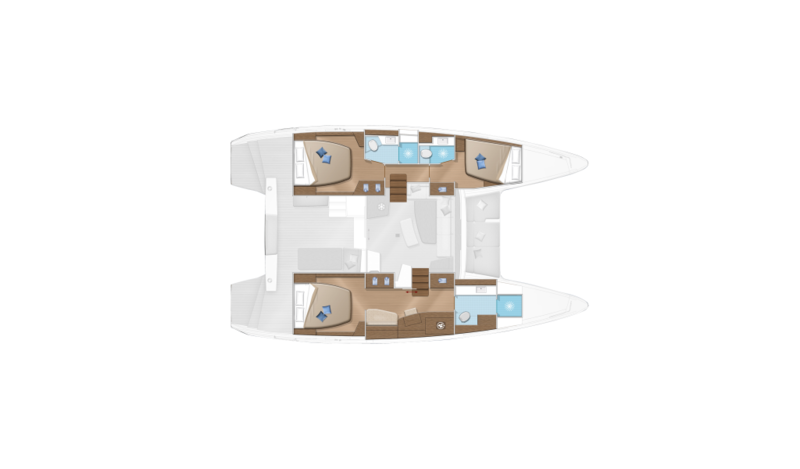 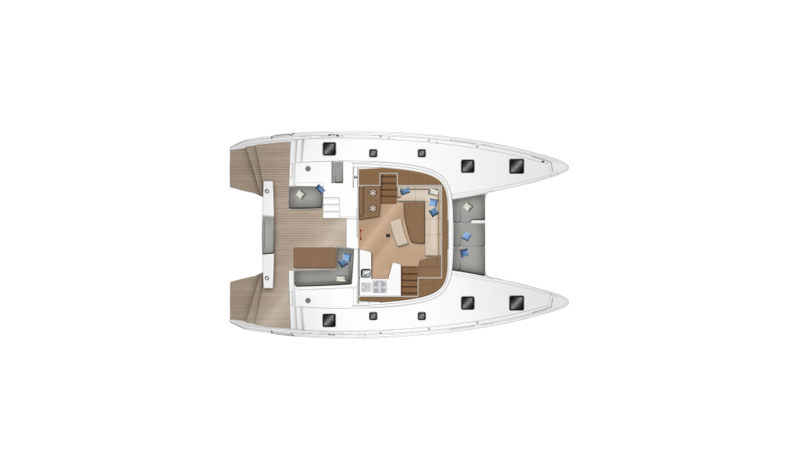 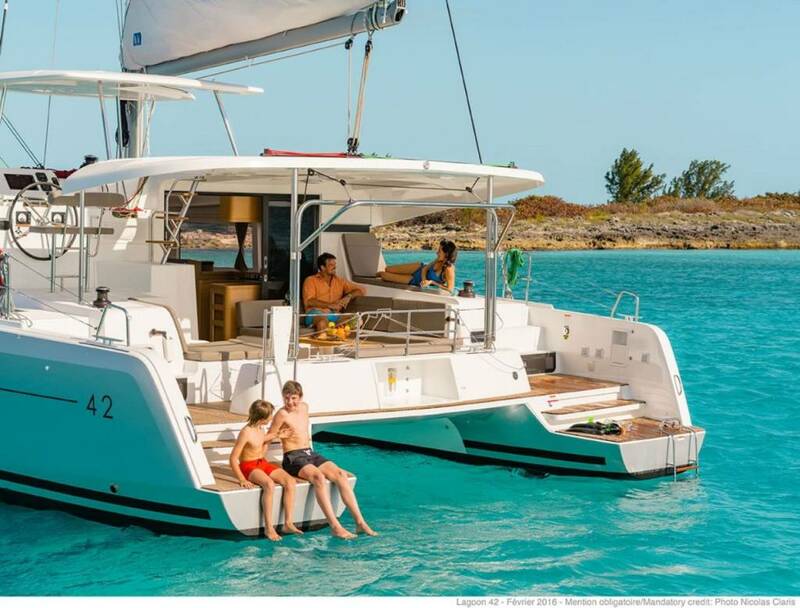 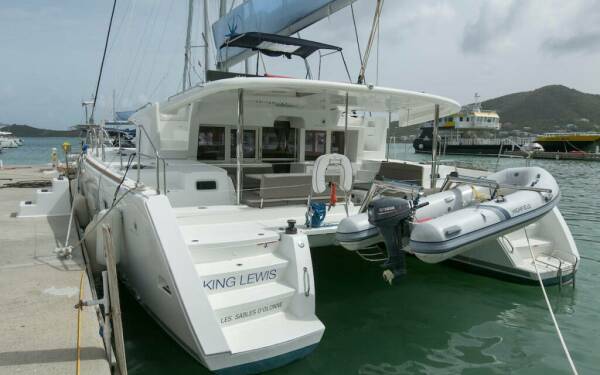 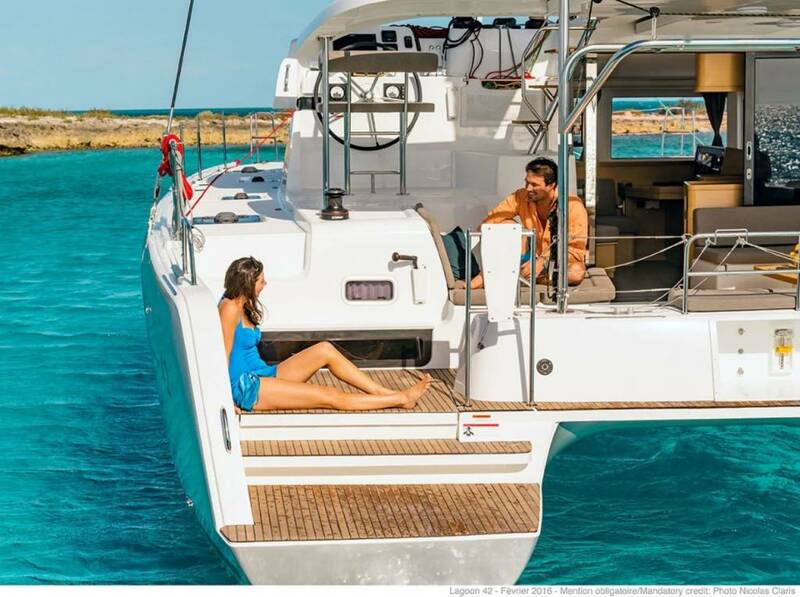 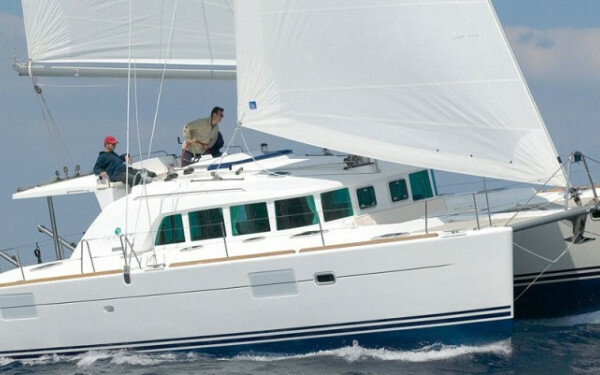 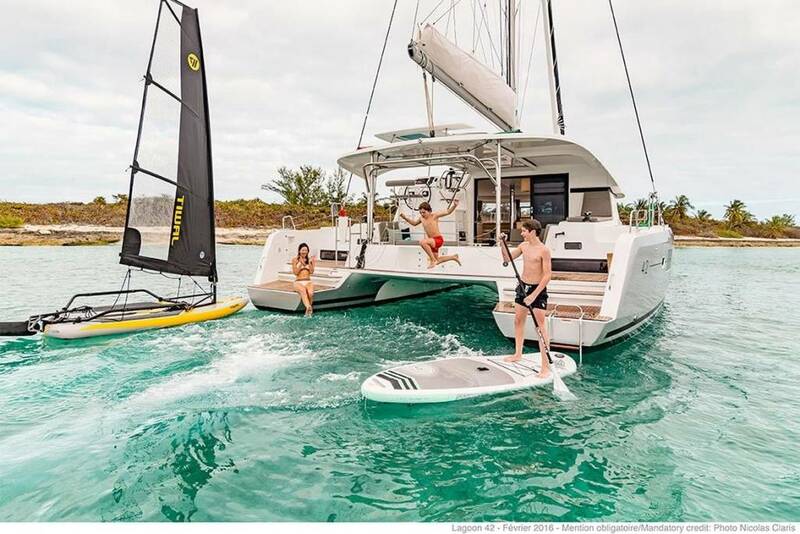 This luxurious and even more spacious 4-cabin model offers comfortable sailing.